Starting a construction project can be daunting. Purchasing the right land for your home, business or development is full of challenges, even for people who have done it before. Maneuvering through design choices, permitting and during construction is hard. Working with an experienced firm will help make the process easier and the outcome successful. Call our office and find out how we can help you with your goals. Douglas Landsem Architect AIA is run by the well-oiled team of Doug and Susie Landsem. “Doug has always been the consummate professional and takes pride in his work, when working thru the permit process Doug can be a bull dog for his clients. Doug is the principal architect at Douglas Landsem Architect AIA. He grew up in Seattle and graduated from the University of Washington. He started early in the construction industry, learning how to build from his father who was a general contractor. He took his industry experience, together with his design and architecture education, and moved to Bellingham in 1982 to start his own firm. He is a member of the Architects Institution of America, and served as the president of the local NWAIA chapter. 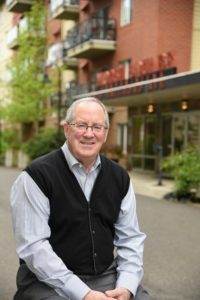 He has won awards and honors, but Doug says that the best accolades he receives are from his clients who are still living in the homes he designed for them a long time ago. 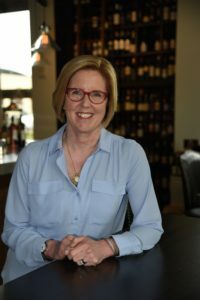 Susie grew up in Seattle, graduated from Washington State University and moved to Bellingham in 1993. With a background of customer service and facilitation, she works together with clients and contractors to make sure that there is cohesive design and construction. She works hard so that Landsem clients both achieve their goals and have a good experience along the way. Are you visiting our website because you have a project and want to learn something about what we do? Give us a call, send an email and we can discuss how the Landsem team can help you.